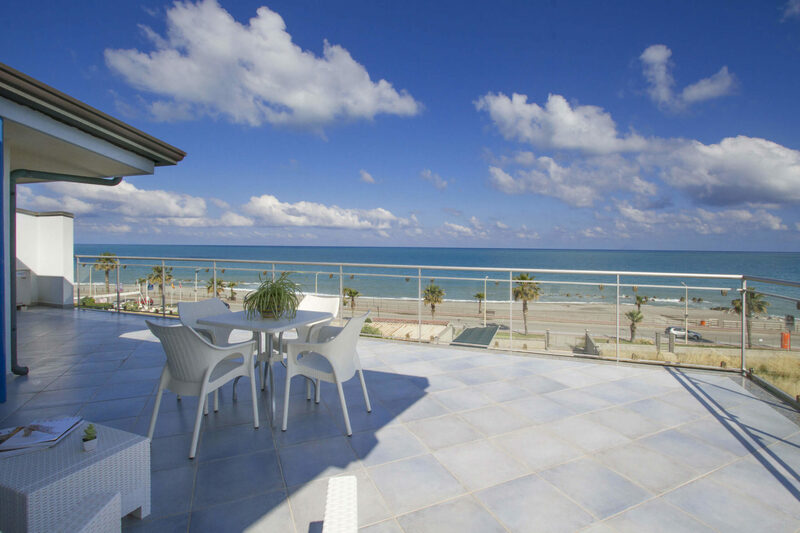 Sicily Seafront Apartments, Terraces d’Orlando is what you’re looking for! Wake up in the morning, look outside the window smellin’ coffee and see the Aeolian Islands. It looks like a dream, isn’t it? That dream can turn into reality thanks to Terraces d’Orlando, the Sicily Seafront Apartments by Costa d’Orlando! You’ll need just few steps to dive in the clear blue of the Tyrrhenian sea, to sunbathe on the Capo d’Orlando’s beaches to turn your stay in the North of Sicily an unforgettable experience. Costa d’Orlando accomodations are part of an apartment complex with all comforts, where you can relax yourself enjoying every ease an living your days characterised by sea and quiet. Book now at Terraces d’Orlando, let yourself cradle by the sea during your stay in the north of Sicily!